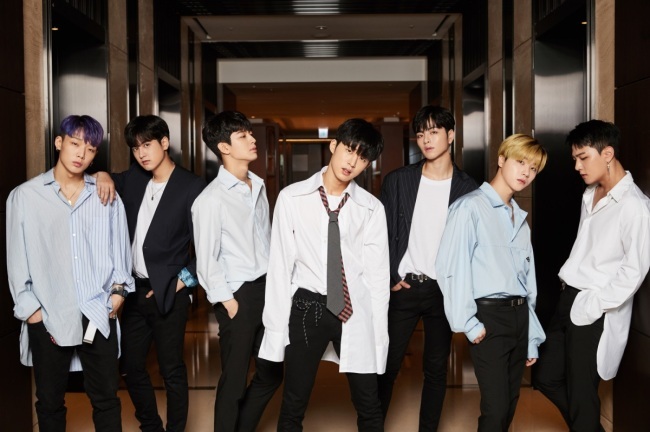 In August last year, iKon fans were enraged at YG Entertainment for the group’s lack of promotion in Korea, even announcing a boycott of products produced by the agency. Seven months later, the group returned Thursday with “New Kids: Continue,” the last of its “New Kids” trilogy, diverging from its previous mellow boy-next-door image and with a more boisterous and dark approach. Blending pluck synths and a piano-based melody, the album’s lead track “Killing Me” features the act in a more mature frame, serving as a dramatic directional change and maturing for iKon. B.I, the main songwriter and composer in the band, explained that an observation from his everyday life served as an inspiration for the song. “I got stuck to that phrase ‘killing me.’ Although it describes how a breakup feels in the song, it’s such a common phrase we use every day, such as when the weather is hot or when we face hardships. I think I heard it from almost everyone around me,” the artist said during an interview for the group’s new album in Seoul on Thursday. “It’s killing me, this time again. Your traces bug me. I turned my back on you as if we were strangers, but it’s killing me. Why am I lonely?” the group sings. “So I gave a little twist on that daily language by using it in the context of love. I recommend listeners focus on the song’s title when listening to it. It will be easy to relate to,” he added. 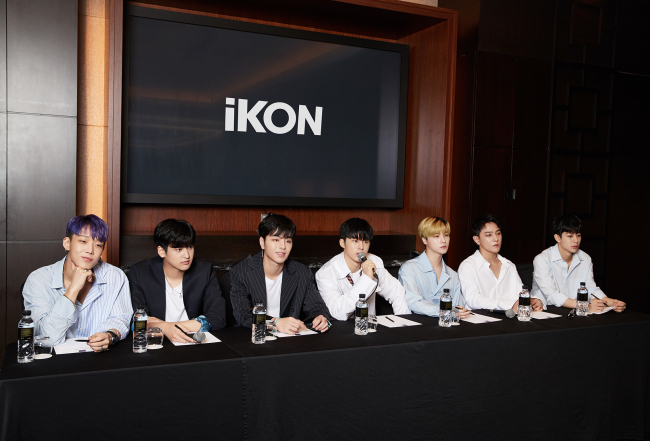 The five-track album also includes another lead track, “Freedom,” an upbeat rock song, “Only You,” a reggae-based love song, “Cocktail,” a summery funky jam and “Just For You,” a fan song, all of which have been composed and written by B.I. Although the band debuted in September 2015, it has been less than a year that iKon started making waves. Its previous hip-hop focused “Bling Bling” and “B-Day” were favorably received by fans last year, but it wasn’t until “Love Scenario,” the lead track off iKon’s second full-length album “New Kids: Return,” swept local music charts in January that the group gained real momentum. The infectious song has been making waves among kindergarteners and elementary school students due to its easy-to-follow melody and lyrics. “We’re really grateful that we are able to release two albums in a year under YG Entertainment, which is a really hard thing,” Jinhwan said. 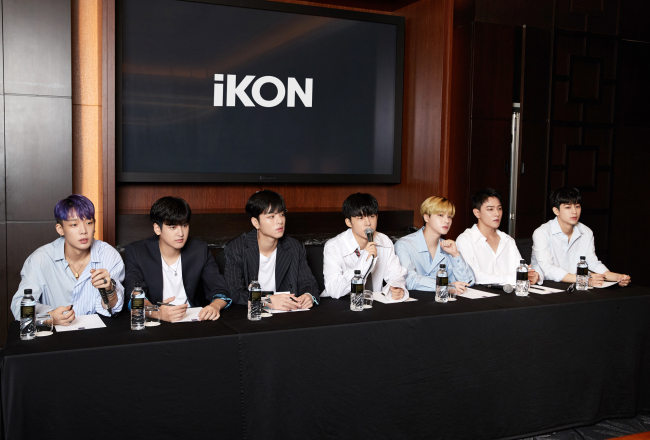 Yunhyeong and B.I also revealed that after the success of “Love Scenario,” they got to have a meal with YG head Yang Hyun-suk for the first time and create a group chatting room that includes Yang. “The song itself has a sad meaning, but I made the song with the heart of a child, with a lot of joy. I think that’s why the song was so popular among young listeners. My biggest inspiration in making music is that childlike innocence. I don’t want to lose that,” said B.I, expressing gratitude for the song’s tremendous success. He admitted that he had felt burdened over “Killing Me,” but emphasized that he didn’t write the song aiming for success on the charts. “I don’t expect anything with our new song. The process of making it, that’s what we value. We wish to stay as humble as we can, and remain as we are,” he said. The seven-piece act is also set to hold “iKon 2018 Continue Tour,” which will kick off at 5 p.m. on Aug. 18 at Seoul’s Olympic Park Gymnastics Stadium. Following the concert, it will perform in eight cities, including Kuala Lumpur, Bangkok, Singapore, Hong Kong, Jakarta and Manila, and an unspecified city in Taiwan.